this pub is totally dawdy free, a fantastic atmosphere, locals are a mixture of ages are very welcoming. A family oriantated pub. its has a large garden to cater for sun bathers in the summer, and smokers all year round with heating facilities. 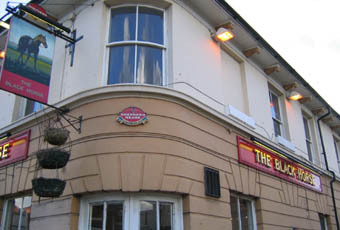 no trouble is tolarated, i would say one of if not the best pub in tunbridge wells. This pub has a fantastic atmosphere. The beer is of the finest quality with outstanding staff. The pool table is regually maintained. The customers who frquent this pub have changed and the landlord has made an amazing effort to keep out all of the "riff raff" Which has made a huge difference. Brilliant pub. Good pint of Masterbrew to be had. The pub itself is quite nice, has been refurbished rather well a couple of years ago. Can still attract a couple of strange people, but not as bad as once it was. Astonishing change! This place used to be a decrepit dinghy stinkhole and the kind of place you would only go if you wanted your dog put down but did not want to pay a vet. Now however, all that has changed. It is clean, bright and friendly. Beer is excellent and there is a fantastic relaxed atmosphere about the place. Congratulations to the new landlord on a great job. Will be back soon! beer ok and staff seem great as does the pub itself. I was just a bit worried about some of he customers!